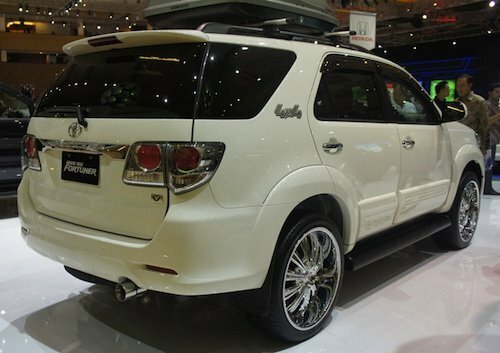 Toyota has unveiled the latest update to the Toyota Fortuner at the 2011 Indonesian International Motor Show. 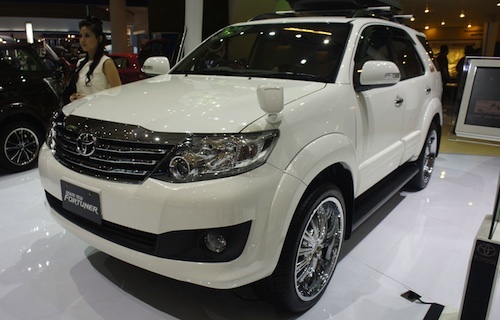 This is the second time the Fortuner has been facelifted, which is expected as this has been the trend for Toyota’s IMV models for developing countries. 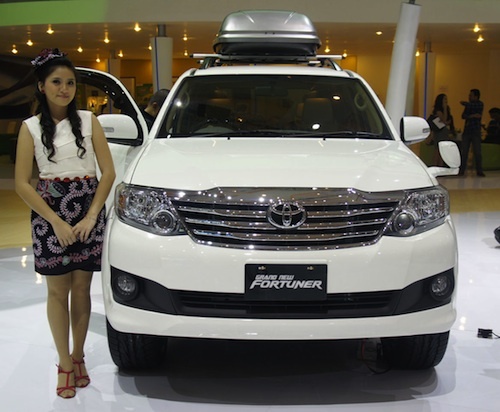 The Fortuner was last updated in 2008. Toyota seems to be making the Fortuner look bolder and bolder, which was also the trend when the original Fortuner was changed in 2008. Toyota gave the 2008 facelift a wider and stronger front end compared to the original, and with this latest 2011 update, the Fortuner takes on a similar look to the flagship Toyota Landcruiser at the front. The rear tail lamps have been given a clear lens look, which reminds me of the first generation Toyota Harrier. 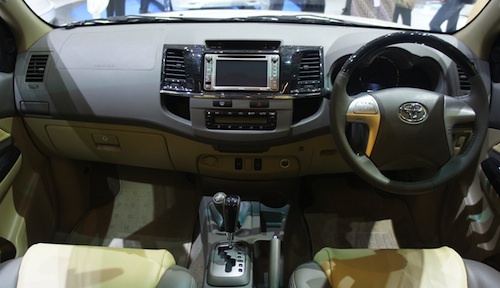 On the inside, the Fortuner gets an updated steering wheel design, as well as some minor changes and rearrangements to the upper half of the dashboard. Look after the jump for a full gallery of the new 2011 Fortuner. Previous Post: Daihatsu A Concept scale model – is this the new 30km/l concept car for IIMS?